Words can not describe how heartbroken and devastated I am right now. 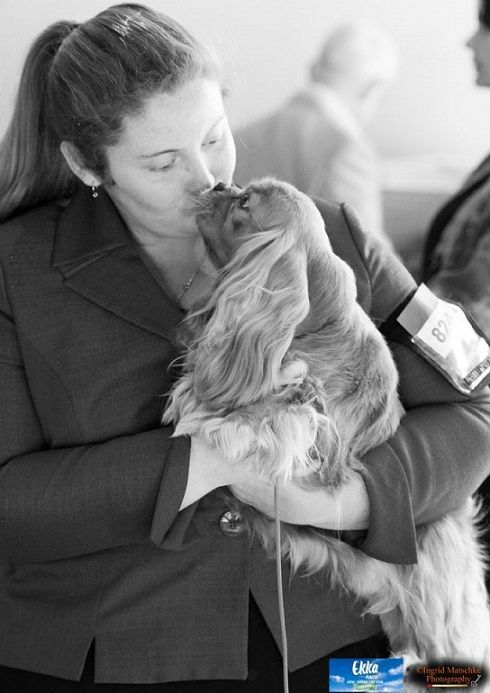 I was so proud of his accomplishments in the ring - All Breeds Reserve in Show, multiple Cavalier Specialty class in shows, Toy Specialty Class in Show, multiple All Breed Class in Shows, along with Multiple Best and Reserve in Groups. Less than 100 points shy of his Grand Champion title. At one of his very first shows he won the baby dog class and opposite Baby in Show at the Cavalier Club of Qld under Mrs Anne Eckersley (USA). Due to campaigning his “uncle” Zumba and his cousin “Aria”, Wesley wasn’t shown as often as he probably could have been, however he still titled at less than 2 years of age with the final points coming from Mr Tim Thomas. Another of my favourite show wins of Wesley’s was winning Best in Group and Reserve in Show under Mrs Vicki Schneider. When I went to bed last night, I would never have imagined that today would be the day that I had to say goodbye to Wesley for the last time. Today is one of the worst days of my life. He is survived by his mother Ginny (nearing 11), his half sister Gloria, his “wife” Aria and their 2 children.